A refreshing dessert on a hot summer day with no added sugar! Blend 1/4 cup cottage cheese and 1 tbsp coconut butter and place in the bottom of 3 silicone cupcake molds. Separately blend strawberries and blueberries. Place on top of cottage cheese coconut mixture. 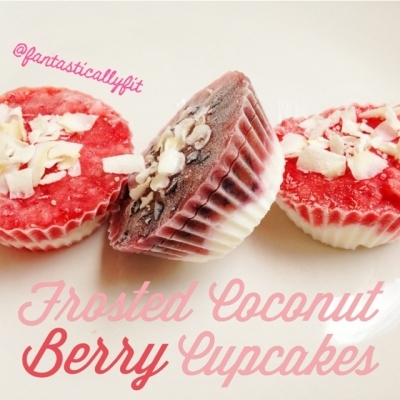 Sprinkle unsweetened coconut flakes on top. Take out about 5-10 minutes before eating to soften. Devour!